Five families. Five time periods. Forced to flee their country, leave everything behind and adapt to a new culture in an unfamiliar land. A testimonial to hope in the face of war. 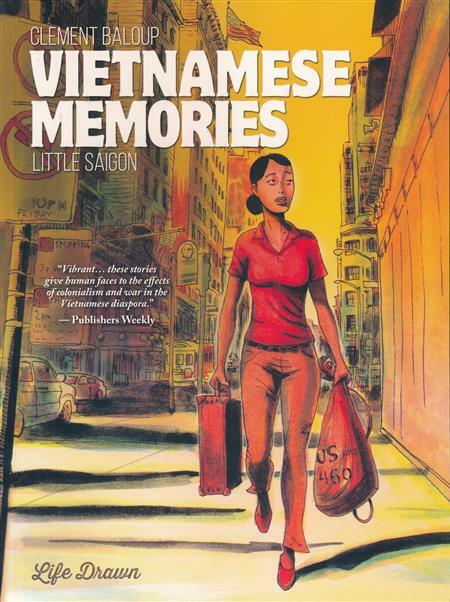 Author and artist Clement Baloup delves intimately into the pasts of a few colorful, passionate, and strong Vietnamese women who, uprooted by colonialism and war, crossed the Pacific Ocean to rebuild their lives in small Vietnamese communities across the United States. Faced with shocking, and at times, horrifying obstacles instigated by forces both internal and external, these individuals had to summon an inner strength that carried them out of their nightmares, and into their American Dreams.